Biking is always a fun activity for both kids and parents of all ages. It’s a means of relaxing for adults and one of the kids’ first independent pursuit. Your child may be too old to ride in a bike seat with you so now is the time to get them their own little bicycles. The choices could be overwhelming, so we’re helping you narrow down your options to the most efficient, age appropriate and safest bike for your little one. What is a child bike? What Are the Types of Child Bike? How to bike with a baby? Coaster Brakes vs. Hand Brakes for My Child's Bike? Bike Size Chart: What Bike is Right for My Kid's Age/Size? How to measure my child's inseam? Where to buy bikes in the US? The best way to find the perfect bike size for your little kid is to determine their inseam first. Guide on how to measure inseam is provided below. The same bike size could fit kids in different ages depending on the inseam measurement. When choosing the right bike for your child, don’t pick a size too big that they could “grow into.” As your child grows up, so is his or her inseam size, choose the bike that fits your child based on current measurements. Bigger bikes are usually heavier which makes maneuvering difficult and dangerous. Note: Make sure that your child can also stand comfortably in the bike. As important as the bike size is other safety gears to ensure the kid’s maximum safety while biking. Helmet for one is required at all times for children riding bicycles in the United States. Some areas could be more stricter than others so you may want to look up the laws in your area for helmet use. Child bike in simpler terms is a bicycle designed specifically for kids. Similar with adult bikes, it is a ride with two wheels in the front and back usually propelled by means of pedaling but is a scaled down version to be appropriate for kids use. It comes with a break, an optional front container and back rack. It is controlled by maneuvering the front handles affixed to the wheel in the front. Tip: Do not buy a bike that is too big or too heavy for your child. Ideally, the kid’s bike should weigh no more than 40 percent of the child’s weight, more results in difficulties to control the bike. There are different bike types available for children especially for your older, grown up kids. The first thing to consider when choosing what type of bike to get your child is to determine the kind of biking activity they’ll be doing most of the time. Is it mainly road biking, mountain biking, or both? Is the are where they’re riding muddy, clear or grassy? These considerations will help you best find the perfect bike type that will suit your child’s needs. This type of bicycle is appropriate for children whose biking will mostly be about developing fitness or biking as a form of exercise. Road bikes fit cycling on pavements and are usually characterized as lightweight, skinny-narrow tires and a “drop” handle. This bike is good for long distance riding. This kind of bicycle is best suited for rocky mountain or hilly bike trails, although it is also commonly used on normal roads. The bike comes with wide tires with spikes, allowing the tires to rid of loose soil and dirt in the trail. Mountain bike is characterized by a rugged frame, flat handles and a suspension for better navigation. BMX bikes are most suited for high-speed bike rides and for kids who would want to do jumps and tricks while biking. Not recommended for very young kids, but this type of bicycle is very sturdy and durable. Best for biking on dirt tracks. This type of bicycle has “fat” tires usually about 4 inches thick. This is best used during the winter time when there is snow and and low air pressure. The fat tire bike may sound funny but it allows kids to go biking in the mountains even on snowy climate, and also on sand. The best feature of this child bike is the extra cushion provided by the wide tires to your child which is normally not available on normal bikes with no suspension. This bike is specifically designed for flat terrains and biking just a little distance. Cruiser bikes have fenders and high handles, and are not good for upward terrains. Both bikes highlight comfort in its features only differing in the wheel size. Comfort bikes have smaller wheels for higher, hilly terrain while hybrid bikes have a bigger, thinner-sized wheel, although both bicycles can be ridden on dirt road and paved trails. Check our guide about biking with a baby? Buy the bicycle from physical bicycle shops so you can test the bike before buying. If you’ll need to buy it online, make sure you have the necessary information on your child’s size to find the perfect bike. Pick a lightweight but durable bicycle for your child. Know your child’s biking activities to identify the specific bike type you should get. Check the appropriate brakes for your child’s biking needs. Know the biking-related laws in your area. Buy a bike that fits your child, not something they could “grow into.” Ill-fitted bicycle could be dangerous and uncomfortable. The most expensive bike doesn’t mean the safest or most appropriate for your child. Tip: Kids learn to ride the bicycle faster when they learn without the training wheels. Training wheels teach your kids pedaling before balance; a balance bike, teaches your child to balance first. Coaster Brakes vs. Hand Brakes for My Child’s Bike? Choosing the appropriate brake for your child’s bike is an important factor to consider after deciding on the type of bike that suits your child’s biking activities to assure that you give your child the best-needed tools to avert any untoward accidents. • Standard brake attached to most 12 to 16 inches bikes. • Usually cheaper to install and no maintenance is needed. • Coaster brakes work just as well in the rain as they do in dry conditions. • It looks more neat and tidy without cables running from the handles. • Can be used for folding bikes and requires very small coordination to start it. • It makes learning how to pedal more difficult for kids. • This brake is prone to skidding which affects the tire. • Since it is economical, it also means once it’s broken, it’s time to replace the bike..
• Use is limited to flat, terrains as steep slopes may cause it to skid back. • More efficient and doesn’t affect pedaling mechanisms. • Capable of stopping at fahelpful on hills and off-road speeds. • Teaches the child how to backpedal. • Very suitable for biking on steep, mountainous areas. • Transitioning to a pedal bike could be easier compared to coaster brakes. • It can be tough for kids to operate since most of the handbrakes are too large for kids. • This type of brake requires maintenance from time to time. • Require more skill and coordination to operate..
• Mostly effective on sunny conditions as these brakes are not very good in wet climate. Anybody riding a bike should wear a helmet which is the main safety gear required. It is also the most important wear for both adults and kids to protect the head in the event of a fall. As prescribed, helmets should fit comfortably in your head with the safety straps attached and shouldn’t be too wobbly or loose. You may pick a colorful helmet or a helmet with an unconventional design to add fun to your child’s ride as long as it fits your child’s head well. More about kids bike helmet sizes here. Wearing bright-colored biking outfit is usually recommended for bikers for visibility purposes for pedestrians, drivers and other bike riders too. Wrist pads, knee-pads and elbow pads are recommended for bikers specially the little ones who are just beginning to ride. This will help prevent bruises and wound in the event of fall or crash. Wheel reflectors: riding a bike is enjoyable, yet at night or in areas with low light, as parents, we need to add extra precautions for our kids by adding wheel reflectors which can be an addition to bike lights for more visibility. Back & front reflectors: to add extra visibility on the road at night. Back and front reflectors are attached so other bikers and car drivers can see you even from afar, and both those in front and behind you on the road. Bike bell: bike bell is usually attached to the handlebar of a bike and activated by thumb. This is used for signaling purposes to pedestrians and riders. For kids especially, this is important to give warning when turning or as signal for obstructions. Back & front break: bike brakes reduces the pace or stops the bike from moving. There are different kinds of bike brakes as described above but hand brakes are usually recommended for children since it is safer and easier to use. Front & back lights: bike lights are the most vital bike accessory for improved visibility for both day and night. Attach one in front so motorists approaching can spot you or your child easily while back lights are for those riders behind you. You may opt for a flickering, more colorful option to reflect your child’s personality. Chain guard:chain guards protect your bike from the ever changing weather conditions so it last longer and don’t need maintenance often. It also safeguards your clothing from the grease when biking. Steering limiter:is also known as the “training wheels” for bike handles. This prevents the bicycle from bending in an event of a crash and for your little ones, this is helpful in limiting body injuries during a crash, stopping brake cables from twisting and avoiding sharp turns specially when your kid is just learning to pedal. Bike Safety Flag with Pole:bike flags are mounted to the rear part of a bicycle for added visibility to car drivers and fellow bikers.For your child, adding a bike flag can also be a fun way to accessorize their bike while putting an extra layer of safety protection. You may opt for a blank color or a customize one for your child. Bike Size Chart: What Bike is Right for My Kid’s Age/Size? When buying the right bike for your baby, be aware that child bikes are usually measured by their wheel size, not frame size. The right size is the bike where your child can comfortably get on the bike and stand with his or her feet on the ground although sometimes, tiptoe is also acceptable. 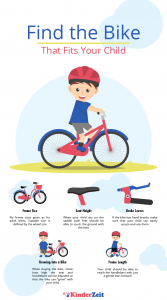 Find a complete overview of kids bike size charts here. How to measure my child’s inseam? Good news parents, you can measure your kid’s inseam size at home. Follow the simple steps below and you’ll be good to go in no time. Gather a measuring tape, a marker, a book and of course your little one. Ask your child to remove their shoes, stand up against a flat surface wall with bare feet, although it is also acceptable if the child is wearing socks. Put the book in between their thighs as near to their groin as possible. Imagine it as if you’re making them seat on a bike chair. Mark the top of the book that hits the wall with a marker. Ensure that your child’s heels are flat on the ground all the way. Measure the distance from the floor straight up to that mark. The inseam measurement will come in handy when you start buying your child’s bike. 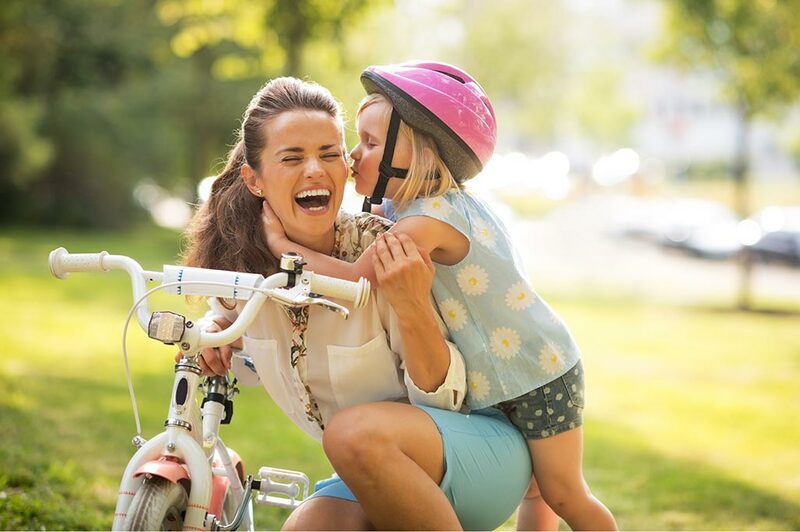 After figuring out the right size and type of bike for your child, it is now time to shop and find the perfect bicycle for your little one. You may now look at the design, color and other aesthetic features of the bicycle to make it more appealing and custom-fit to your child’s personality. In the US, you can buy children’s bicycle both from online stores and local neighborhood sports shops. Where to buy it depends, but as a general rule, for smaller kids, experts suggest buying the bike online where you can find more sophisticated options catering to the different needs and wants of your child. 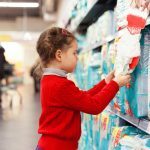 Buying it in your local stores could sometimes mean limited options and lesser customization capabilities to tailor to your child’s needs. Amazon: offers ease in buying practically anything. For child bikes, they also offer a wide selection depending on your need and preference. Prices also tend to be competitive. Walmart: this giant supermarket got it all for you. You can buy your bike in-store or through their online portals too. They sell bicycles for different ages at very affordable prices. Quality questions aside, this could be the easiest way to buy a child bike but you have to do some research on the brands available and determine which one best fits your child’s needs and your budget considerations too. Target: just like Walmart, Target also offers bicycles for all ages in its stores. They have a lot of options to choose from which can be overwhelming. So do your research first before heading to the Target near you. Local bicycle shops: you may head to the nearest sports shops near you to check on the bike you want and physically have your child try it on. While most local sports shops sell bicycle for kids though, they are more focused on adult bicycle so options on the design could be limited. However, an experts choice in local shops might help you find the best bike for your child. There is Bacardi Bikes, REI Camping Store and Bass Pro that might be worth looking at for bikes. Specific brand sites: before buying the bike for your child, you should have done extensive research to narrow down the kind of bicycle (and brand) to consider. Once you’ve identified “the one” just go directly to their website to proceed with your order. It is a must to do a research before deciding on the child bike to purchase, after all, kid’s bicycles tend to be a little pricey too. Decide on what bike you want to buy and which store locally carries the design that you want. 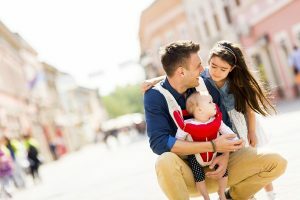 Chances are, if you are purchasing for a toddler, it might be best to just order it online and providing the measurement of your kid.If the bike is available in your local bicycle shop, by all means head to the store and have your child try on the bike physically to see how it feels for them in real. Do check the child bike’s tires regularly checking whether the tires have enough air inside to prevent a flat tire during the biking process. Bring your child’s bike for a regular check-up and have the chain oiled, the seats adjusted to fit the right height for your child and the tires inflated to the right size before letting your kid go on that biking spree. Most bicycle stores in America offers to inflate your bike’s tires and check your tires for free. You may have to pay more for more complicated tune-up for the bicycle. As parents, we want to give our child nothing but the best. In choosing the perfect ride for your child, although more pricey bikes will always perform better, you could also find economical alternatives as long as it is guaranteed safe. This child bike from RoyalBaby comes with many accessories like detachable training wheels, a water bottle, a bell and an easy release seat which facilitate easier seat height adjustments. This comes in different wheel size too depending on your child’s need. A 12-inch wheel is best for children 3-4 years old, while 20 inches is suitable for kids 6-9 years of age and usually measures 20.3 lbs to 31.9 lbs. Pros: Very easy to assemble, durable frame with knobby 2.4 inches tires. Usually for those who wants durability and comfort. Has dual hand brake to assist your child starting to adjust with riding a bike. It has long-lasting training wheels that doesn’t bend, and has easy to adjust seat. This bike is best for children age 4-6 years, with 41″ to 47″ height. The bicycle weigh anywhere around 11.7 lbs. and prides in offering a light, high-performance bike and a good shape that helps kids become better bikers. This bike contains a rear brake but not foot brake. Pros: This color-coded bike has a front and back V-brake featuring a freewheel function. It has a light aluminum frame, stable and straight-way riding best for upright riding. This bike is designed to fit the ergonomics of a child to cover various uses and biking positions.